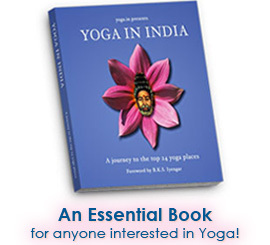 Many teachers of yoga, myself included, deem it dangerous and ill-advised to learn yoga from books. Yet here we are learning primarily via the written word. The reasons why it is not prudent to learn yoga via books, etc. are many-fold. Firstly, is my observation that much of what has been written and published commercially about yoga is very insufficient, and quite often erroneous. Most everything written in modern times about yoga, regardless of any beautifully accompanying glossy pictures and the like, is written piecemeal, delivered fractionally and/or out of context of the broader science of yoga. Techniques are put forth from a purely physical and mechanical perspective, or as perceived from a decidedly Western scientific/medical viewpoint, without consideration for the traditional methodology of yoga, and/or without due attention to a process of gradual, systematic preparation for their practice. This may indeed put the reader of such publications in a precarious situation, should they not be adequately prepared for, nor have the necessary foundation to properly practice the techniques or understand the teachings. Swami Gitananda also fervidly condemned the sharing of powerful yogic techniques in this manner. He agreed, however, as do I, that there are some preliminary practices that one can safely be instructed in with careful attention to the written word, proper illustration and a systematic approach. Traditionally it is considered essential for a student of yoga to practice under the guidance of a guru, someone who has complete understanding of these teachings. This is definitely true for the more complex and higher phases of yoga. 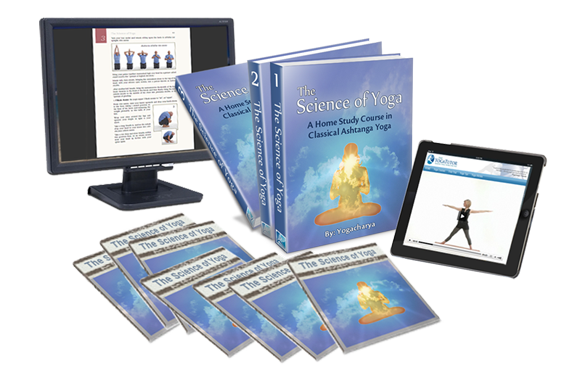 Very few in the modern yoga world have arrived at these higher levels, teachers included, for the very reason that they have lacked that personal guidance from a genuinely accomplished teacher themselves. Yet much preliminary ground exists to be covered in yoga which can, if approached properly and crafted skilfully, be conveyed via the written word -- such as philosophy, psychology, diet and lifestyle, health education, instruction in pranayama and basic asanas and cleansing techniques, as well as the needed inspiration and encouragement to embark upon the yogic path. In this course I have gone to great lengths to overcome the inherent insufficiencies within this medium of instruction and scrupulously afforded ever effort to provide you with proper instruction. I do feel confident that this course has set a quality standard of tuition in yoga. If at times it may seem that I have gone overboard with the written word, it is merely to err on the side of caution, and to assure that any and all necessities have been adequately conveyed. These writings are your satsangas. Satsanga refers to the event of sitting with one’s teacher/guru and receiving his/her teachings. The word yoga itself comes from the root sat, which means "universal truth." Satsanga literally means "association or communion with the good -- the one who knows the Truth."